Trevor Noah is the talk of the town, internationally and locally, and Mzansi is ever so proud of of our “Man in NYC” – a local who is really making it as big as Charlize Theron. Well done to this Son of Africa! Trevor Noah is the best South African comedian, in my opinion, as this view was solidified when I saw him at his recent SA performance at Montecasino. He was on point, topical and so sleek. The show broadcasts in the USA on 28 September (as can be seen in the below teaser for the show) but it launches in South Africa on Tuesday, 29 September at 9pm on Comedy Central, DSTV channel 122. I have already put a note in my iPhone to PVR the entire season, so looking forward to it. Here’s a teaser to whet your appetite. 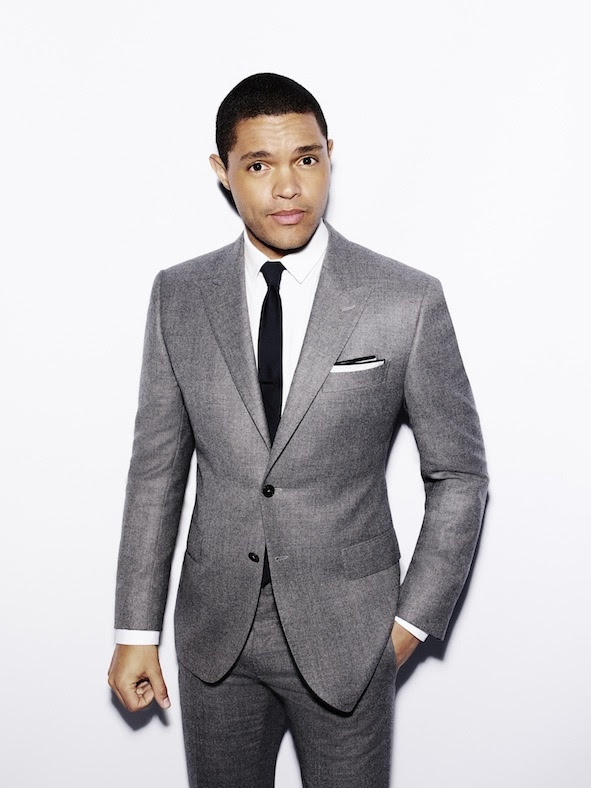 This entry was posted in Celebrities, Entertainment, Hot Happenings and tagged Comedy Central, DSTV, Montecasino, The Daily Show, The Daily Show with Trevor Noah, Trevor Noah. Bookmark the permalink.